This entry was posted in Uncategorized on November 17, 2017 by Silver Willow. OMG, how cute. Can it get any cuter than that? That's all you got? That's plenty! 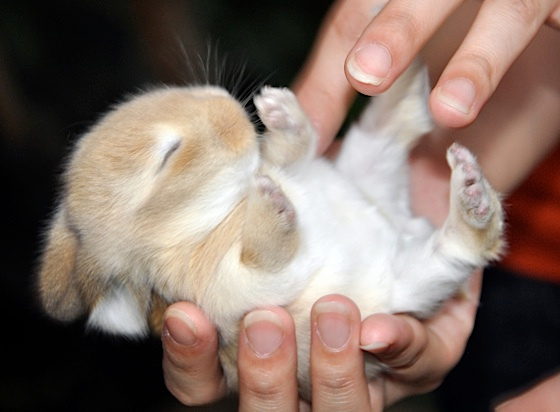 I don't think I have ever seen a bunny this small. That’s adorable. I challenge anyone to look at that photo and not smile! Awww. I use to raise rabbits. There is no cuter baby critter. And sometimes all you've got is just perfect! I would love to hold a baby anything with four legs right now. I especially like rabbits. well that's more than enough! I LOVE IT! I couldn't believe, at first, that was a bunny until I saw it's ears.